Above, two interiors by Kelly Wearstler highlight crystal specimens in very different ways: As an accent on a buffet and as bases for lamps. 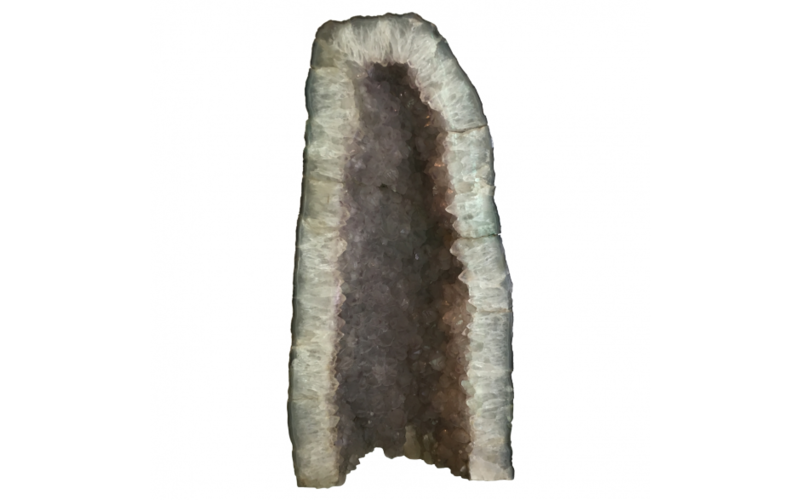 Why we love it: Curated by Hutton Wilkinson of Tony Duquette Studios, this unique mineral specimen makes a dramatic statement in any setting. 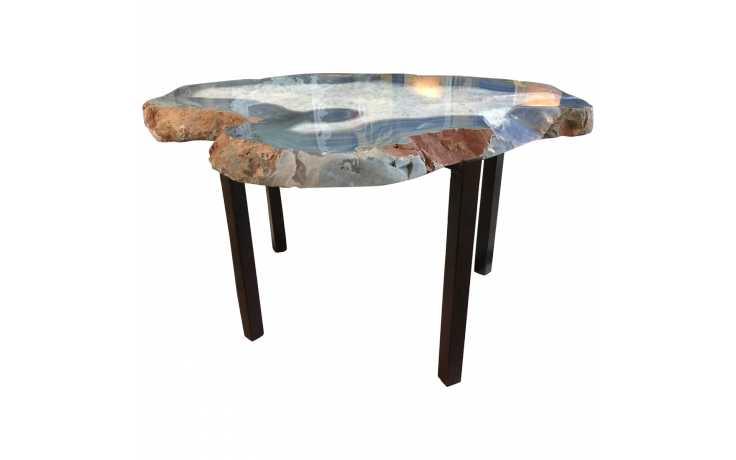 If you have sleek mid-century furniture, the organic texture and shape of the geode make for a brilliant contrast. 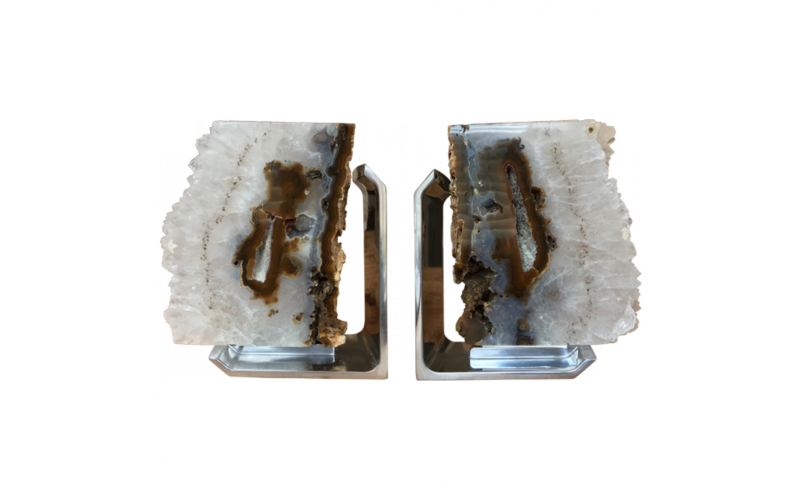 Why we love them: Semi-precious quartz crystals on a polished metal base make for an unforgettable set of bookends. The texture makes an unexpected (and stylish) impression on a desk or, of course, a bookshelf. 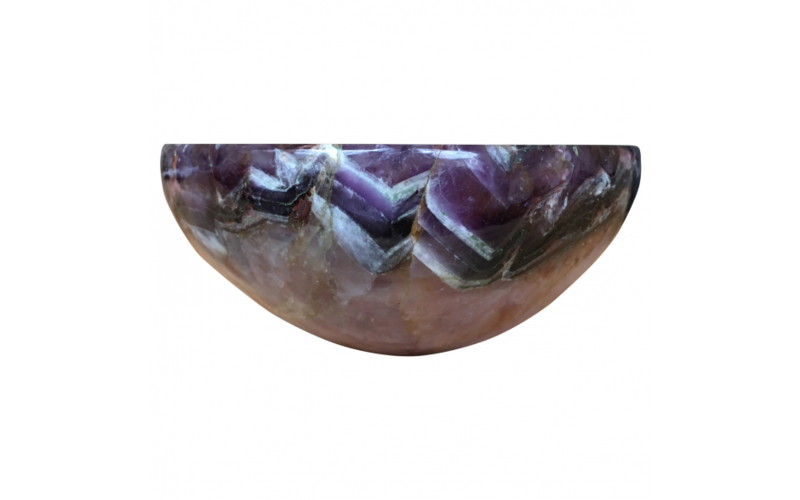 Why we love it: Semi-precious amethyst in a deep purple lends drama to this versatile bowl. It’s stunning enough to display on its own, but you could also fill it with decorative accessories in a contrasting color to create an eye-catching focal point. 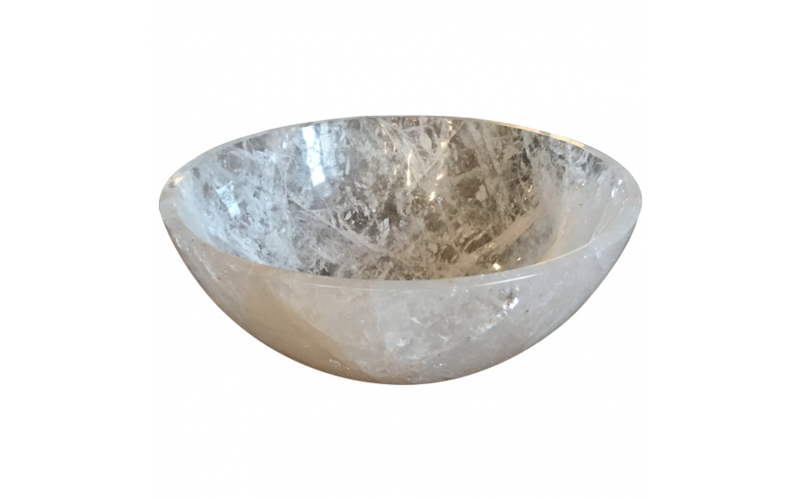 Why we love it: Curated by Raul Carrasco, this smooth bowl is made of grey quartz. The graceful shape beautifully highlights the crystalline structure of the gorgeous mineral. 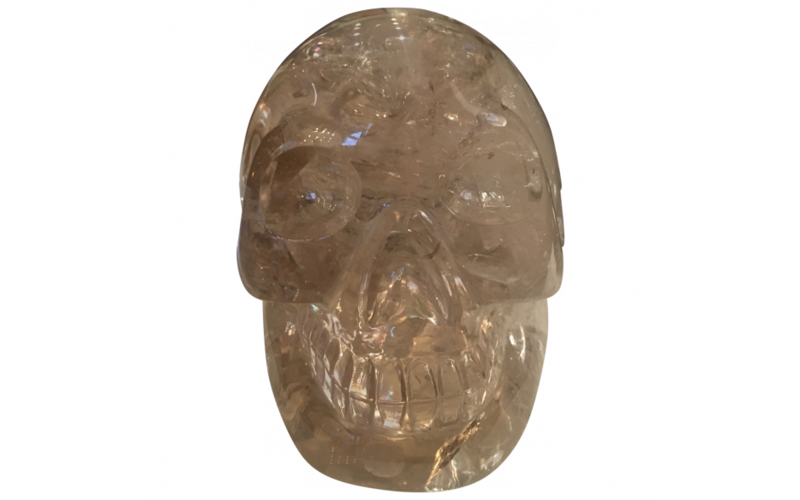 Why we love it:Â Also curated by Raul Carrasco, this unusual sculpture was hand-carved in Brazil from pale yellow quartz. It’s the kind of piece that adds edge to any setting, whether displayed on a bookcase or accenting a console table. 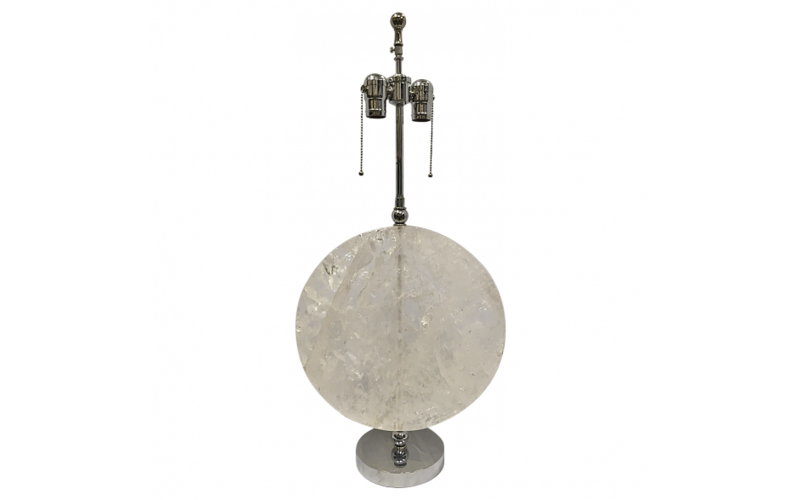 Why we love it: The base of this stunning lamp is a crystal in a perfect circle, building off of the Art Deco inspiration of the design while also subtly bringing to mind the beauty of a full moon. Why we love it: This incredible piece was also curated by Hutton Wilkinson, Tony Duquette’s protégé. It’s a standout addition to any seating area, especially when paired with luxe upholstery that lends textural contrast to the glass-like surface and organic shapes — think velvet, leather, or suede. 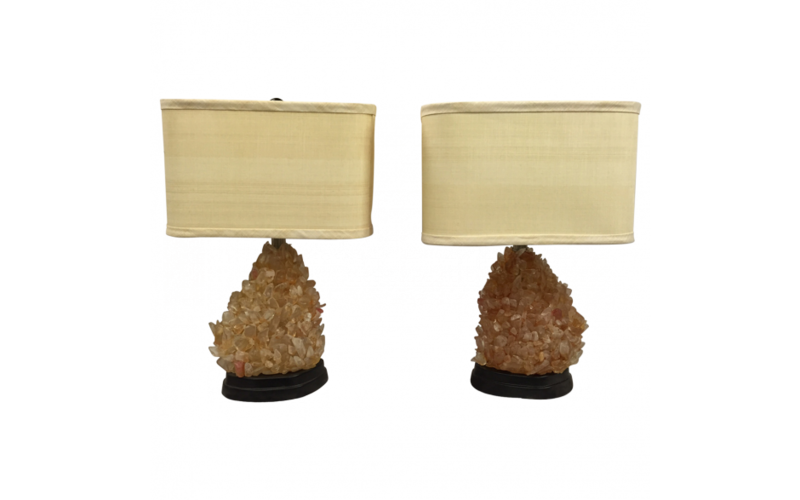 Why we love them:Â Jagged crystals sparkle in the light from this unique pair of lamps, highlighting the subtle differences in each fragment.